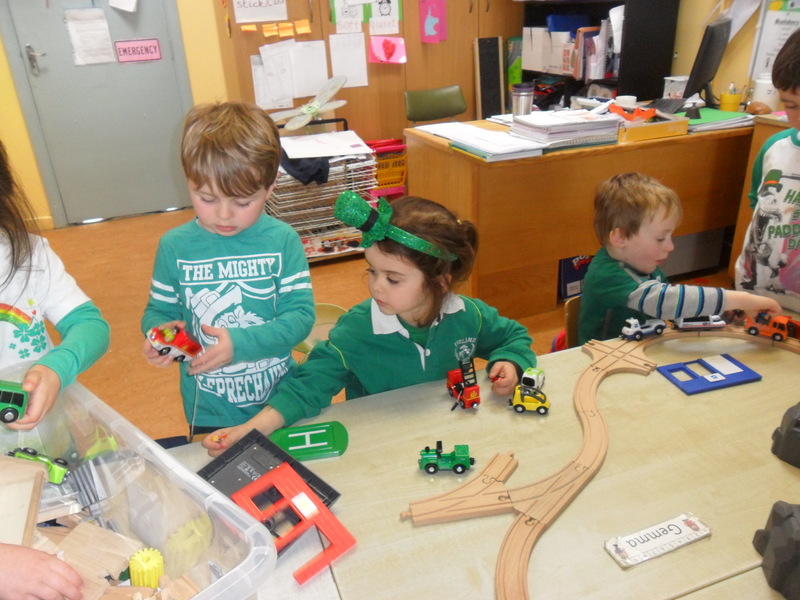 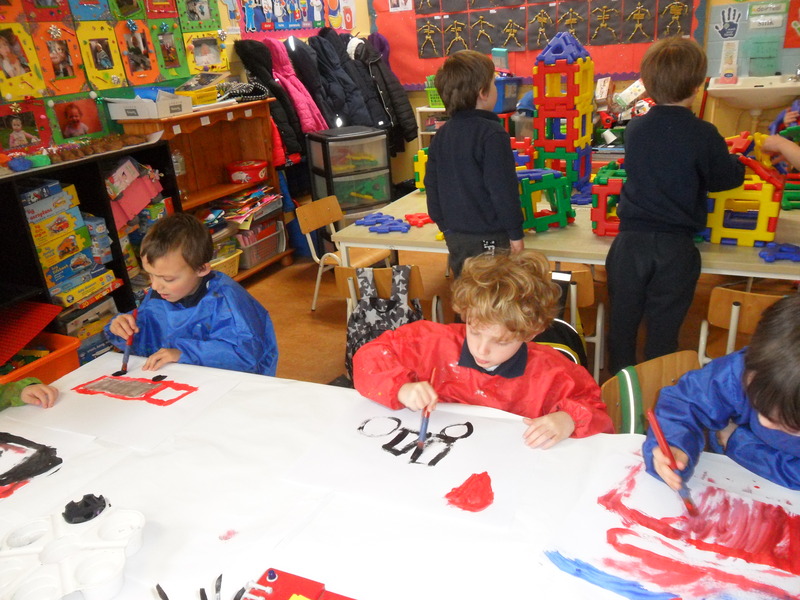 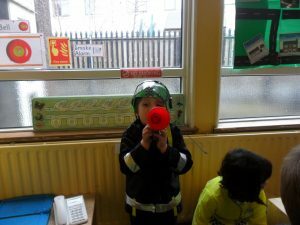 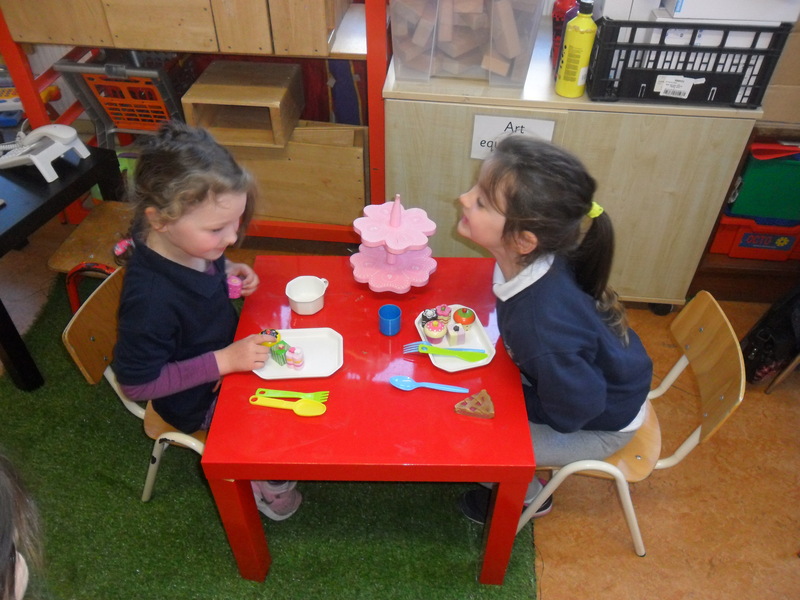 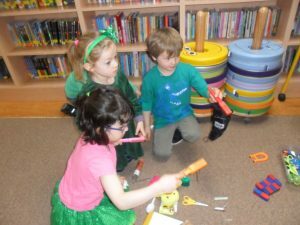 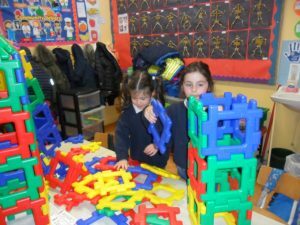 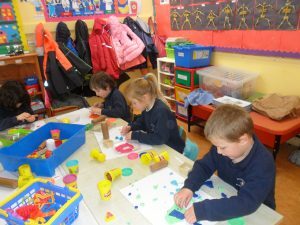 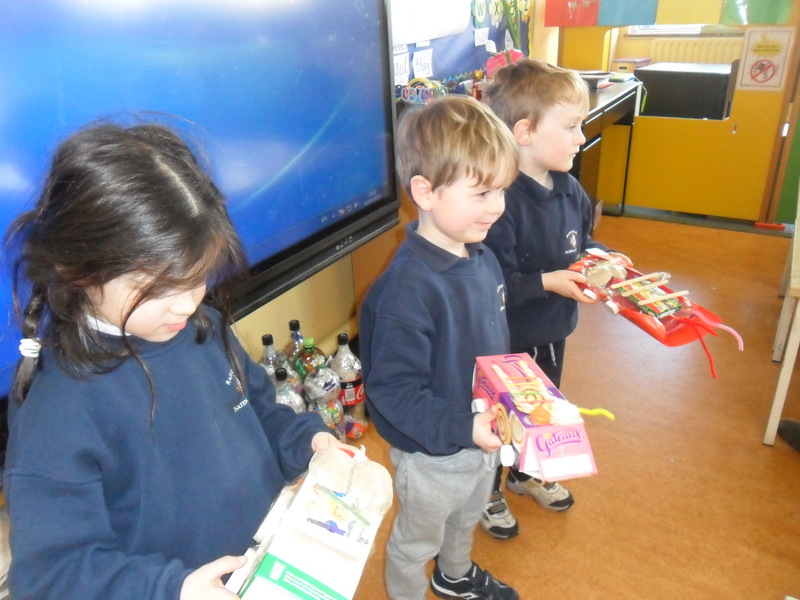 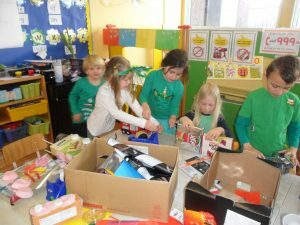 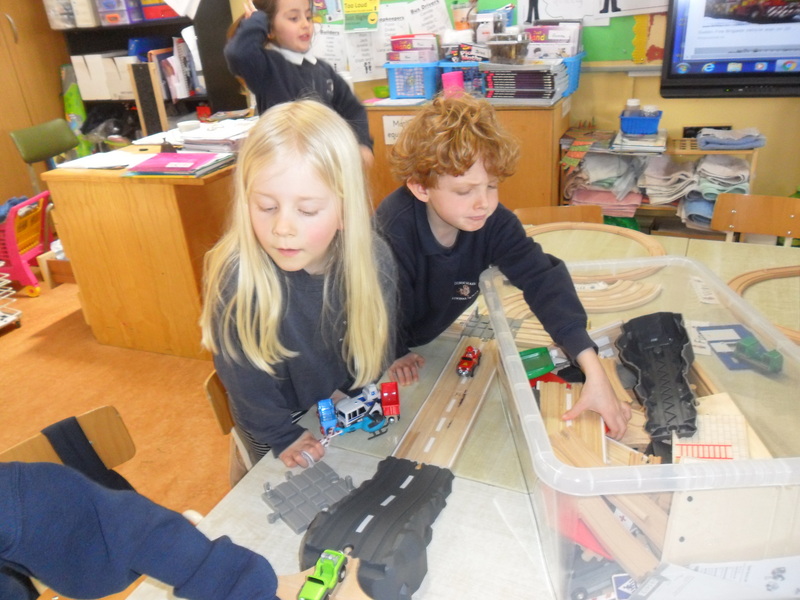 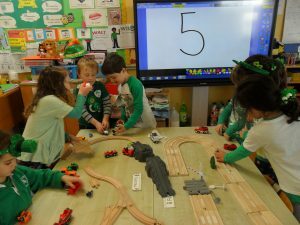 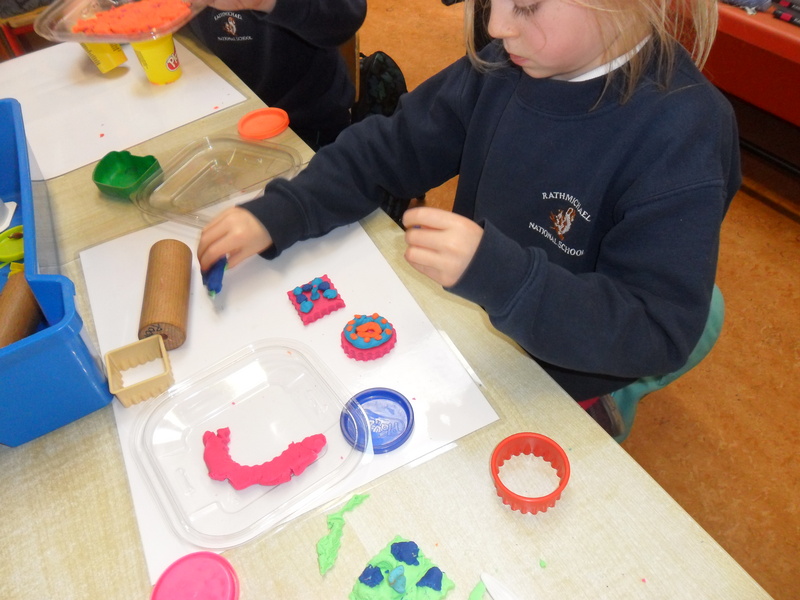 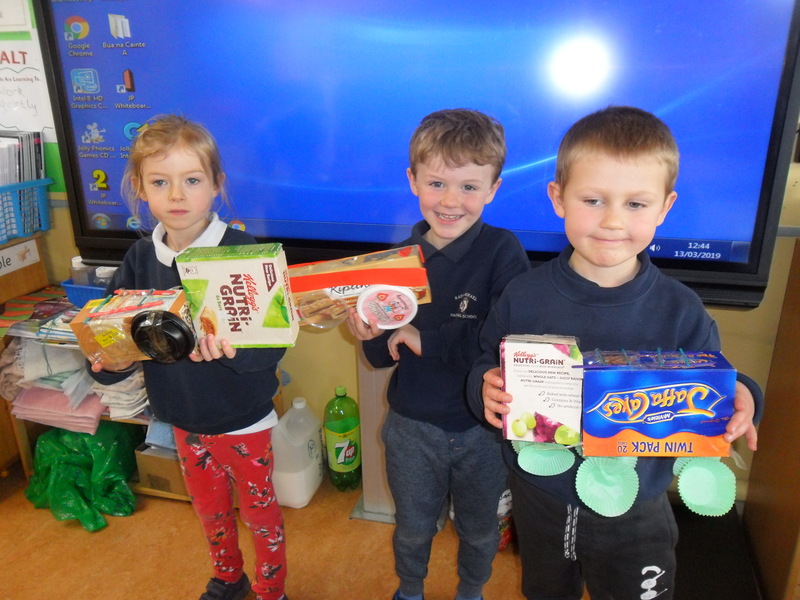 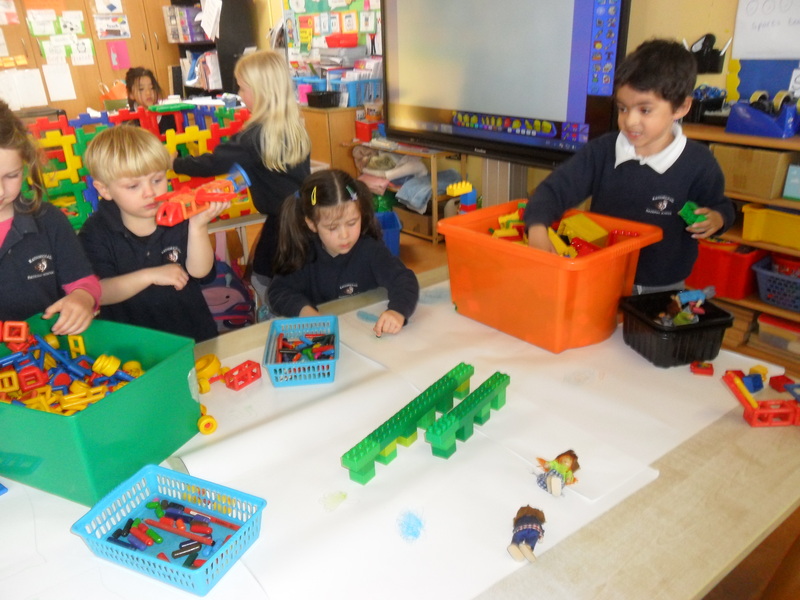 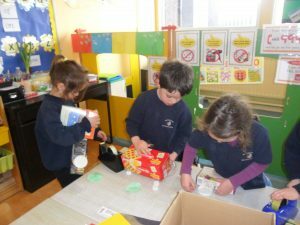 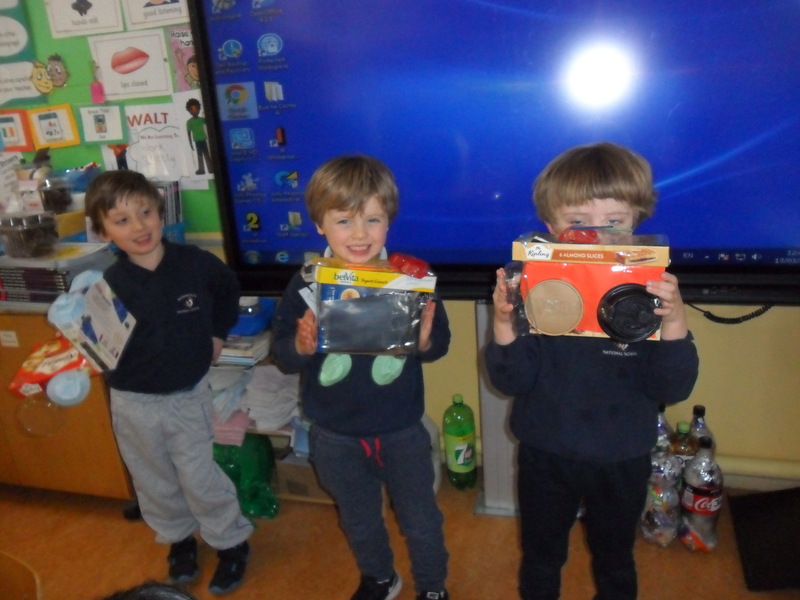 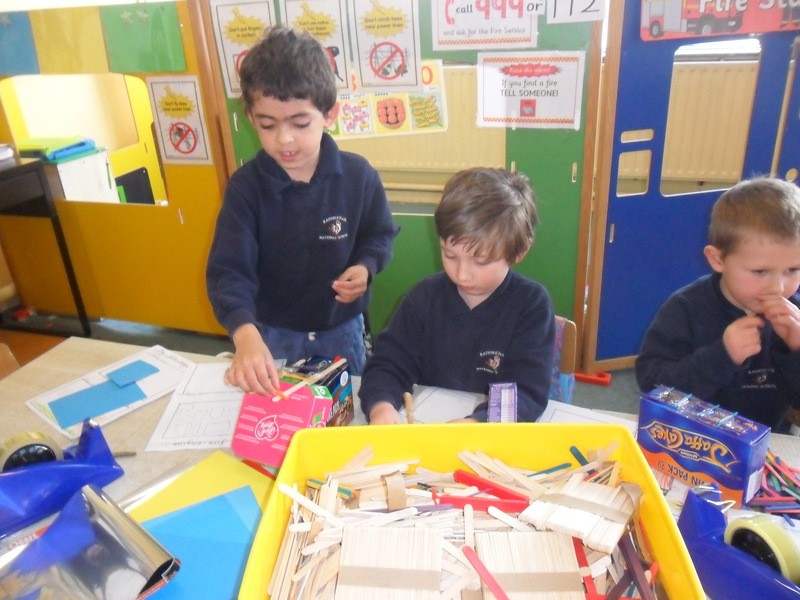 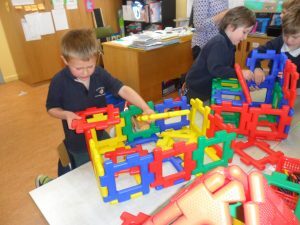 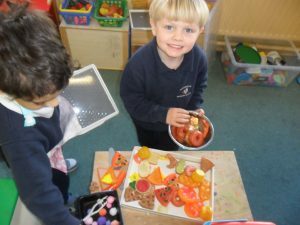 During March Junior Infants continued with the theme ‘Our Locality’. 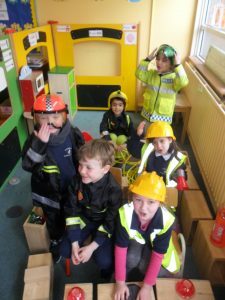 We continued discussing the many different jobs and community workers that are in a town and about the ways in which we have a responsibility to look after our world. 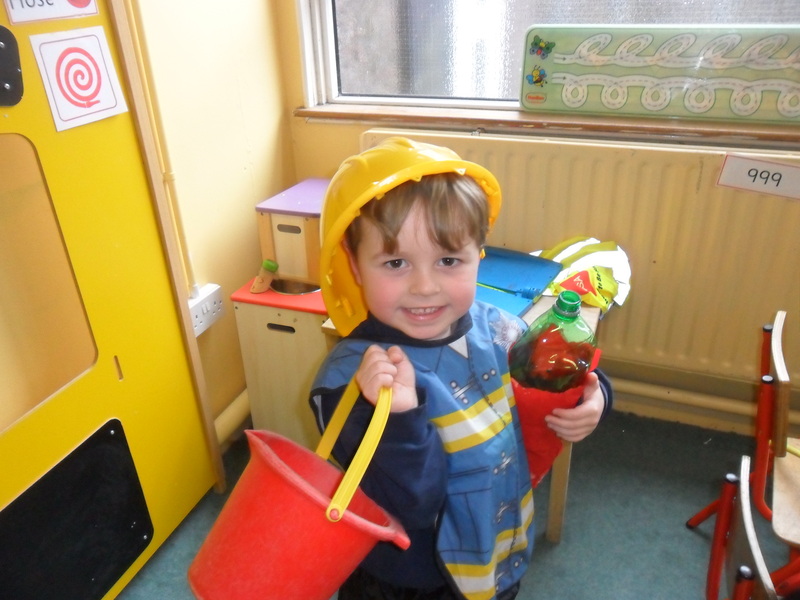 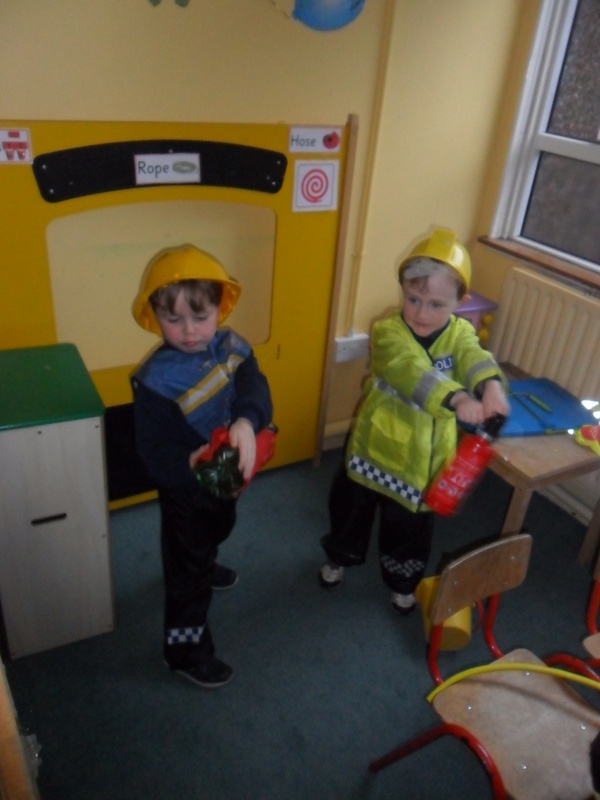 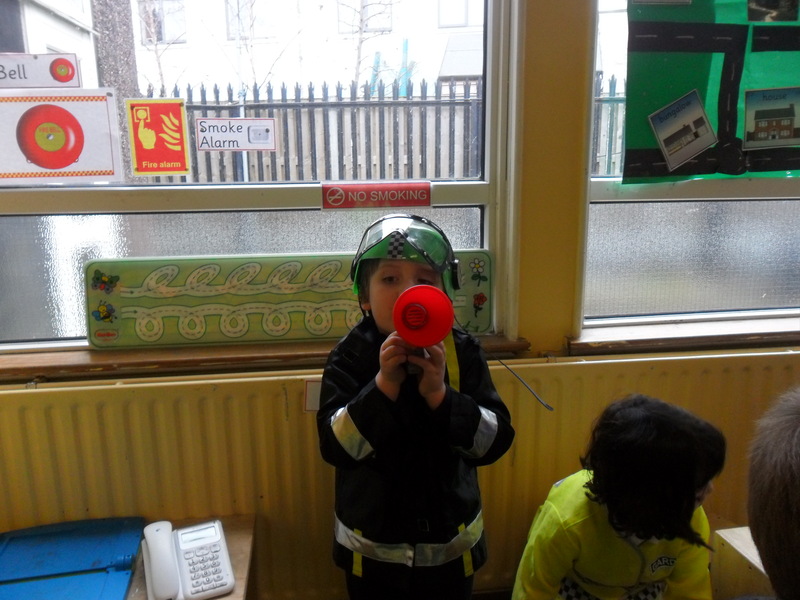 In the Home Corner they had the opportunity to play as various characters and explore the jobs in ‘The Cafe’ and ‘The Firestation.’These required very many different roles and scenarios to be acted out. 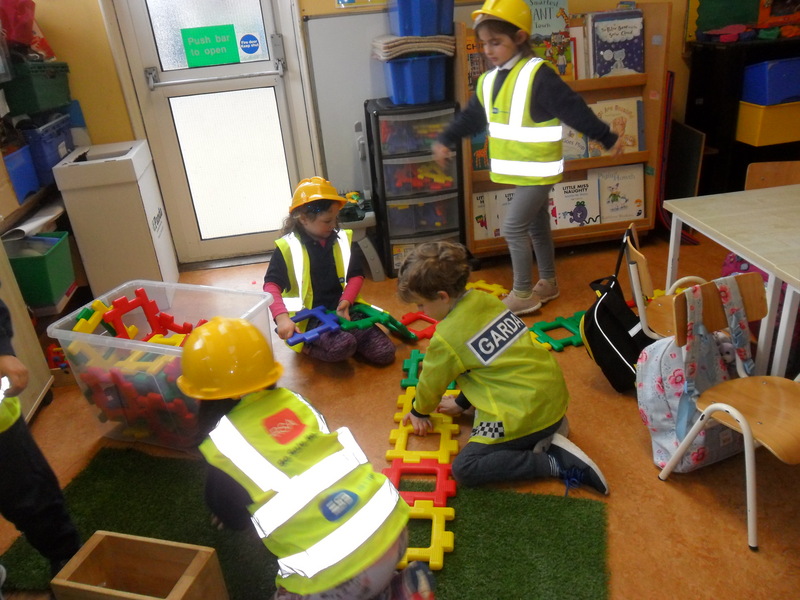 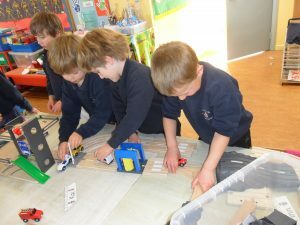 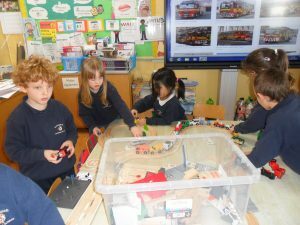 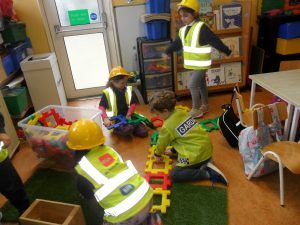 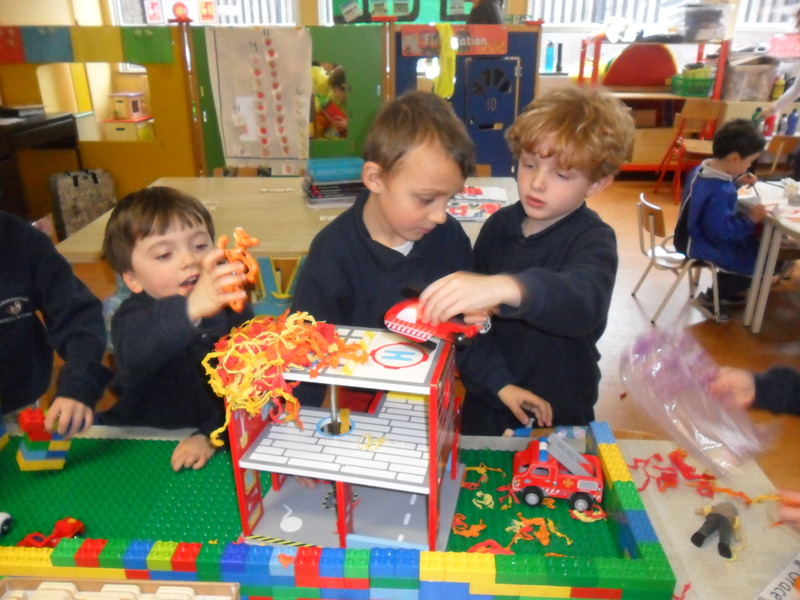 At Small World Area the children designed the playground of their dreams,they built lego buildings and then incorporated the small wooden firestation and they had fun using the motorway track and vehicles . In the Construction Corner the children created a village of burning buildings using polydron blocks and paper flames.They rescued these using our fire-trucks and emergency vehicles. 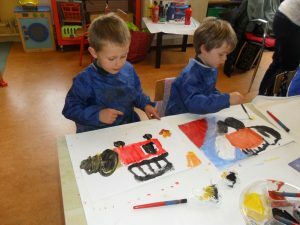 In Art we painted a fire truck and designed and made one out of junk materials .We also created playdough meals. 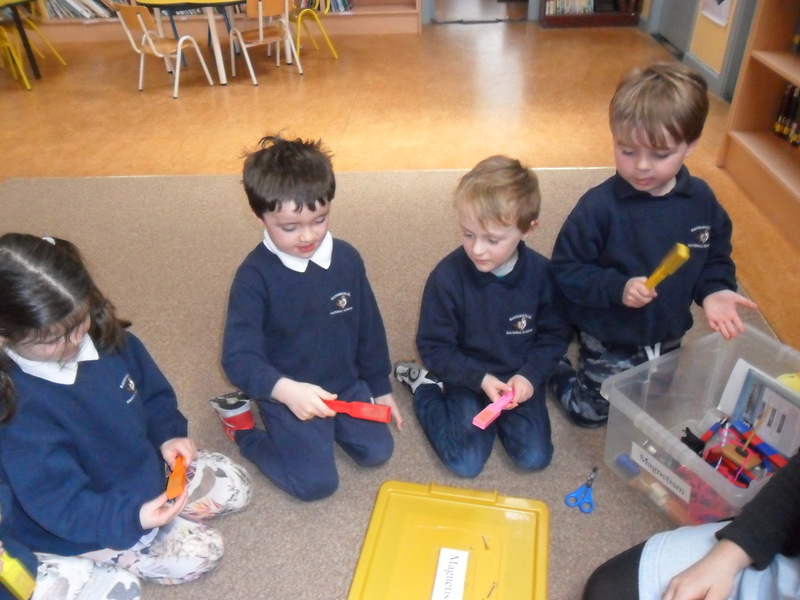 We also explored the dangers and uses of electricity in our homes and we carried out experiments with magnets to find out which everyday items were magnetic. As we were also talking about Spring the book we read was ‘The Teeny Tiny Tadpole’.